Samsung Galaxy S4 Smartphone (GT-I9505) is one of the successors from Samsung which generally use in all over the world. If you're traveler and using Android's Samsung Galaxy S4 Smartphone (GT-I9505) than you know the importance of Carrier/SIM Unlock Samsung Galaxy S4 GT-I9505 Smartphone. Most of the person who travels abroad always pays small fee to their respective carriers to Get Carrier/SIM Unlock Samsung Galaxy S4 GT-I9505 Smartphone which helps them to use any Carrier/SIM into Samsung Galaxy S4. Paying a small fee is not an issue but to get desired operator or network's SIM card is what everybody cares, so it’s necessary for every individuals to know How to Permanently Carrier/SIM Unlock Samsung Galaxy S4 GT-I9505 Smartphone for Free Without any Tool and Rooting and use any network's SIM card of their choice in any country from all over the world. 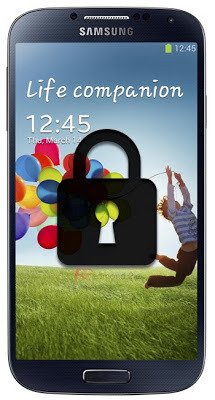 If you have SIM/Carrier Locked Samsung Galaxy S4 GT-I9505 Smartphone than you don’t need to worried now because we will guide you on How to Permanently Carrier/SIM Unlock Samsung Galaxy S4 GT-I9505 Smartphone for Free Without using any Tool and Rooting but before you proceed, you need to understand that following instructions and guide is very critical and you need to follow it at your own risk and we at TechGlobeX doesn't responsible for any damage and loss occurs resulting from below method and we are not liable for anything. So let's start the Tutorial and Guide to Permanently SIM/Carrier Unlock Samsung Galaxy S4 Smartphone GT-I9505 Free Without any Tool and Android Rooting. Step 2: Now press the Menu button followed by Back key. Then, hit the Menu button again and select KEY INPUT. Enter 1 and press the OK button to enter ServiceMode. Step 3: Press Menu one more time and tap back again. This will pull up the Main Menu for ServiceMode. Click (1) UMTS. Step 4: Than, Select (1) DEBUG SCREEN, followed by (6) PHONE CONTROL. Step 5: Now, From the next screen, press (6) NETWORK LOCK. Step 6: You will get three options. Click the one that says (3) PERSO SHA256 OFF. Step 7: Now, you need to get back to Main Menu. To do this, hit the Menu button followed by the Back key. In Main Menu, now press (6) COMMON, and then (6) NV REBUILD. Step 8: The phone will tell you that a Golden Backup exists. Click (4) Restore Back-Up. Step 9: Now, your device will get several terms & conditions and it will also freeze for some time and then you will see black screen with Blue LED and then after Reboot you will see network unlocked permanently. Congratulations!! You're done.